ZEEZ STAINLESS STEEL ROUND BUCKET PAIL 8.5Litres - 120_FEEDING & WATER ITEMS, Buckets, Stainless Steel - Product Detail - Prestige Pet Products Pty. Ltd. 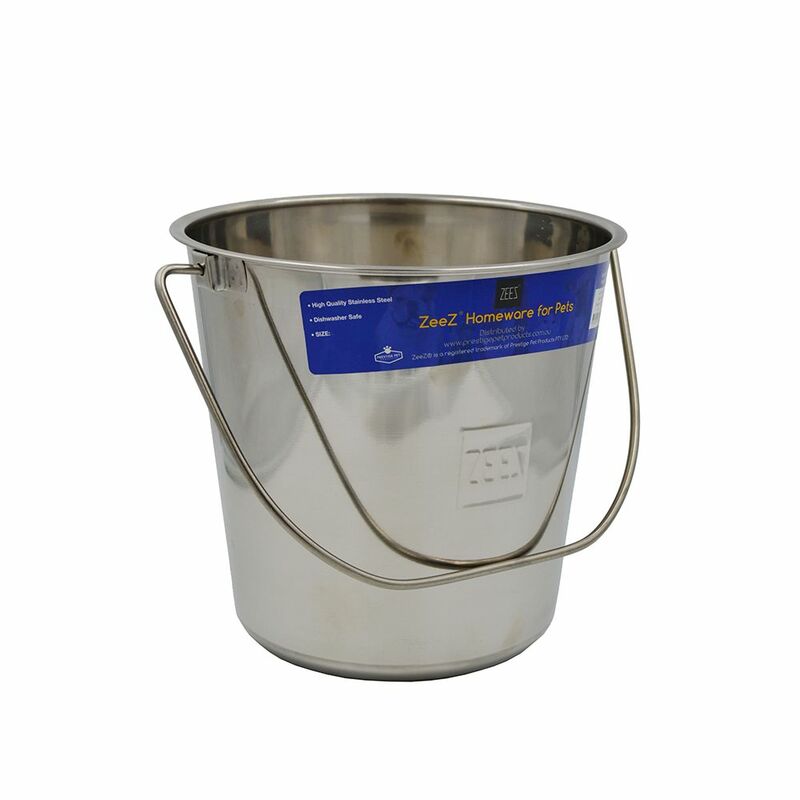 These stainless steel bucket pails have many uses including as hygienic water and food carriers. Stainless steel inhibits mildew and bacterial growth.